Patna, March 23: The National Democratic Alliance (NDA) on Saturday announced the list of 39 of the 40 seats in Bihar for 2019 Lok Sabha elections. 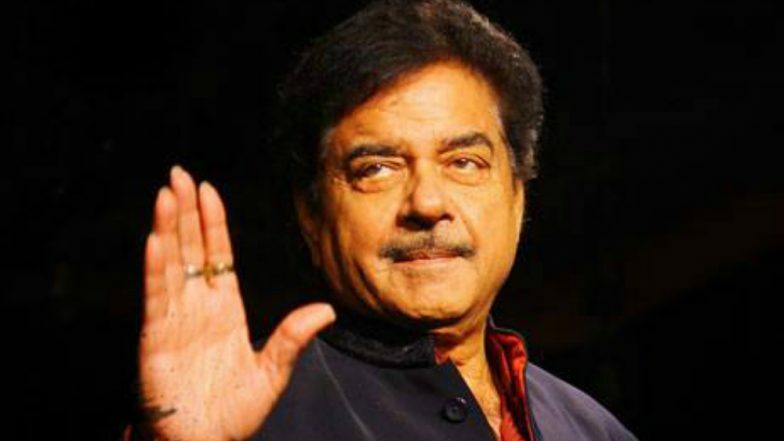 Interestingly, the Bharatiya Janata Party (BJP) dropped the name of rebel leader Shatrughan Sinha from the list. The saffron party has given a ticket to Union Minister Ravi Shankar Prasad from Patna Sahib, from where Sinha had contested and won 2014 Lok Sabha elections. In the past, the actor turned politician on many occasion criticised Prime Minister Narendra Modi and the top leadership of the party. Last year, during a launch of Congress MP Shashi Tharoor's book 'The Paradoxical Prime Minister, Narendra Modi And His India', Sinha had told The New Indian Express that Modi would not become prime minister again. While taking a dig at the party leadership the actor turned politician had said that he was personally against the one-man show and the two-men army. The other prominent name missing from the list is senior party leader Shahnawaz Hussain who was contested from Bhagalpur in the last two Lok Sabha elections. However, this time Ajay Kumar Mandal of the Janata Dal – United (JDU) is contesting from this constituency. The saffron party who is contesting on 17 seats has also given a ticket to Rajiv Pratap Ruddy to fight from Saran, while, union minister Giriraj Singh will contest from Bigusarai. Shatrughan Sinha Schools PM Modi: Rebel Leader Fact-Checks After BJP's Loss in Bypolls. According to the seat sharing agreement in Bihar, the BJP and Nitish Kumar led Janata Dal-United (JDU) will contest on 17 seats each, while the Lok Janshakti Party (LJP) will field its candidates on six seats. Meanwhile, the LPJ has not yet announced its candidate from Khagriya. The Elections in Bihar will take place in seven phases from April 11 to May 19. The counting of votes will take place on May 23.